Atlanta, GA – June 23, 2014 – Encoretech, a premiere learning & development organization delivering technology training and migration solutions to the legal and corporate communities, today introduced the Encoretech Training-as-a-Service (TaaS) offering. As part of the new solution, Encoretech will work with law firms on ways to strategically redesign their legal technology training programs including new hire training and onboarding; online and distance learning; staff skill & proficiency development; learning management system (LMS) customizations; training content development; and utilization of new, innovative training delivery methods. Legal professionals are increasingly faced with the daunting task of mastering new technologies at break-neck speeds without the appropriate learning systems and training resources to help them along the way. 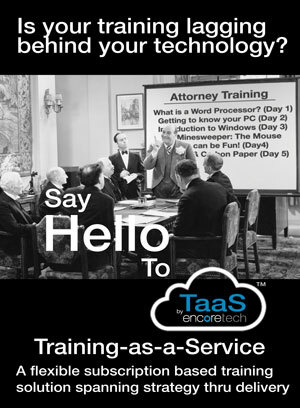 Encoretech’s TaaS is a managed training service offering focused on blending training strategy and a ‘best practice’ approach to law firm training design with a variety of proven delivery methods including online and distance learning, lawyer skills development and classroom training. Strategy: Encoretech offers law firms a more flexible, scalable and strategy-aligned outsourced training solution beginning with a training program audit that assesses existing firm training systems and learning efficiency. Design: Encoretech’s subject matter experts and legal training design model experts will work with law firms on re-designing a training program that fits the current needs of its users and modern technology. Delivery: TaaS is a flexible subscription-based managed service built on short, focused distance learning opportunities delivered by highly skilled instructors, individual virtual coaching and a rich catalog of well-designed, easy to digest on-demand content. 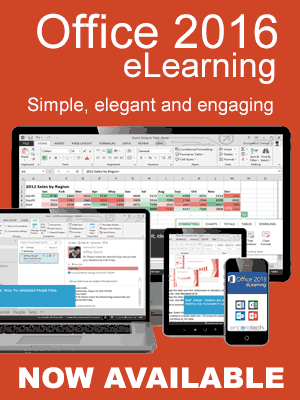 Busy, time-pressed professionals can engage in the learning program from their desk, or on the go from their mobile device. “We are about 12 months into working with a select group of visionary law firms and other professional service organizations on re-designing user training programs and learning systems following the TaaS methodology. 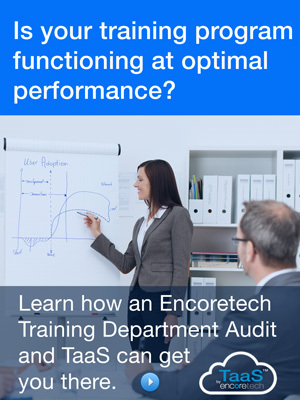 By starting with a strategic, audit-style review of existing training methodologies and first assessing the overall efficacy of internal technology training, firms have a major leg up when looking to deliver a more rewarding and productive training experience,” added Thomas Devine, Encoretech’s Chief Operating Officer. Encoretech is a premiere Learning & Development organization delivering technology training and migration solutions to the legal and corporate community. 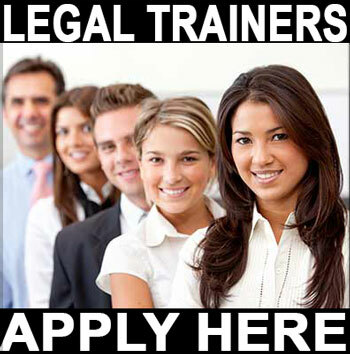 Encoretech addresses the business, operational and technology training and application education challenges faced by law firms and other professional services organizations. Encoretech’s executive team has spent the past 25 years working with the top law firms and training departments in the country, helping them deliver outstanding and engaging learning experiences. Services include Microsoft Office 2013 migration training; Training-as-a-Service (complete managed training services); development of onboarding curricula and new hire training content; technology training audits; distance learning; and custom Learning Management System content development. Please visit www.Encoretech.com for more information or follow them on Twitter at @Encoretech or @JeffreyRoach.